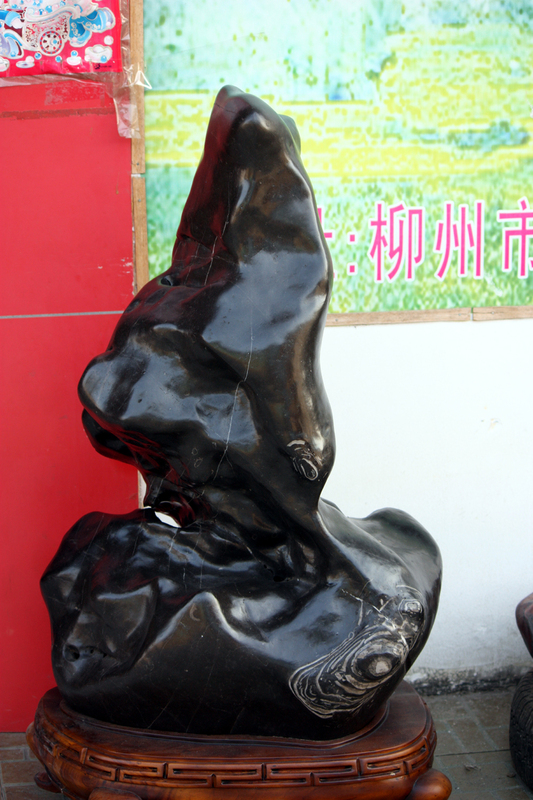 One of Liuzhou's more unusual claims to fame is its stones! 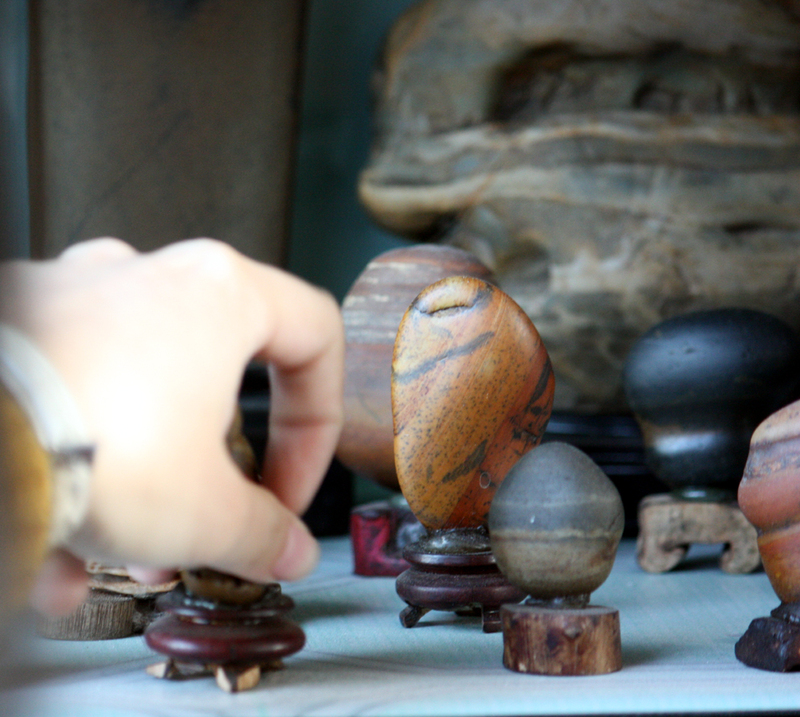 There is a world-wide network of collectors of unusual stones. These stones are prized for their shape, texture, colour or markings. Some can be very valuable indeed. 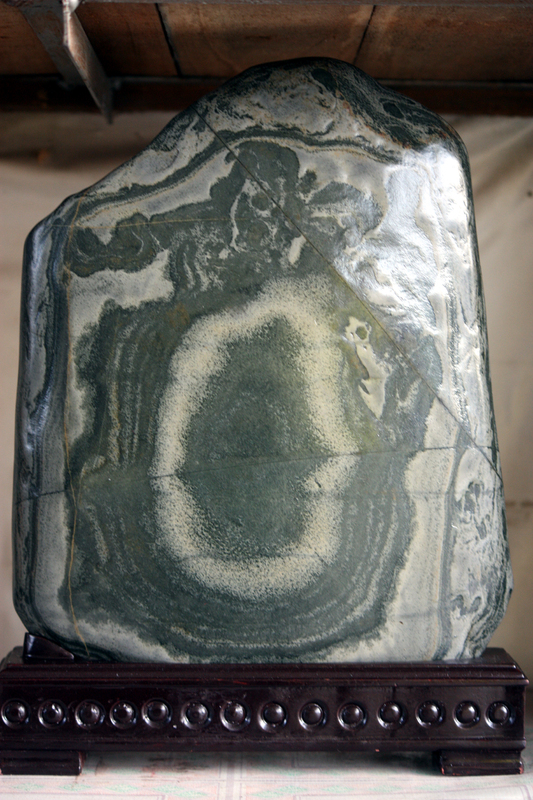 Used either on their own as display items, or incorporated into bonsai gardens, the stones, some huge and some tiny, are especially prized in Japan and South Korea among other places. 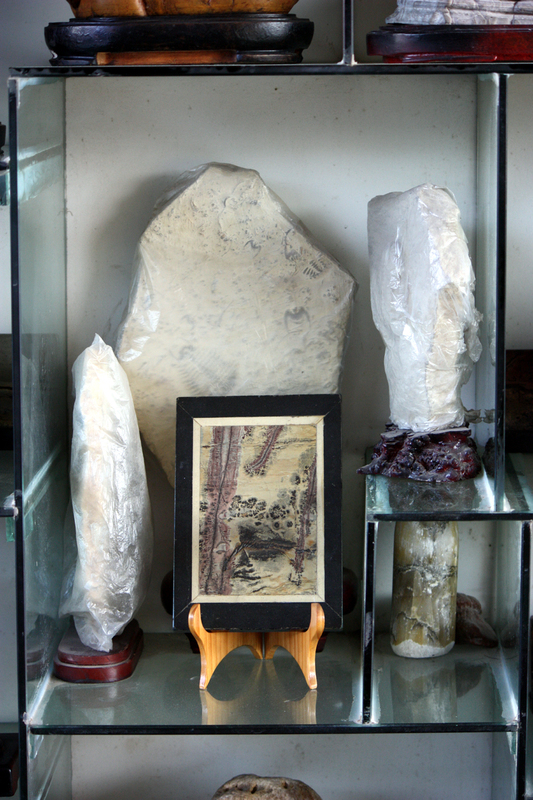 Liuzhou is generally regarded as a world centre for these stones. 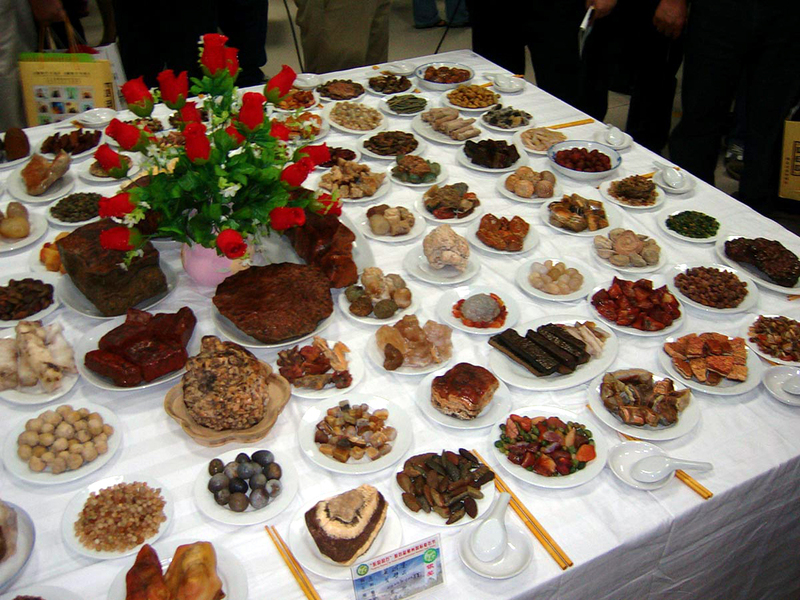 The city has held seven International Stone Festivals (1999, 2002, 2004, 2006, 2008, 2010 and 2012) and an eighth is to be held from November 1st to 10th, 2014. Stone Banquet - a favourite theme. 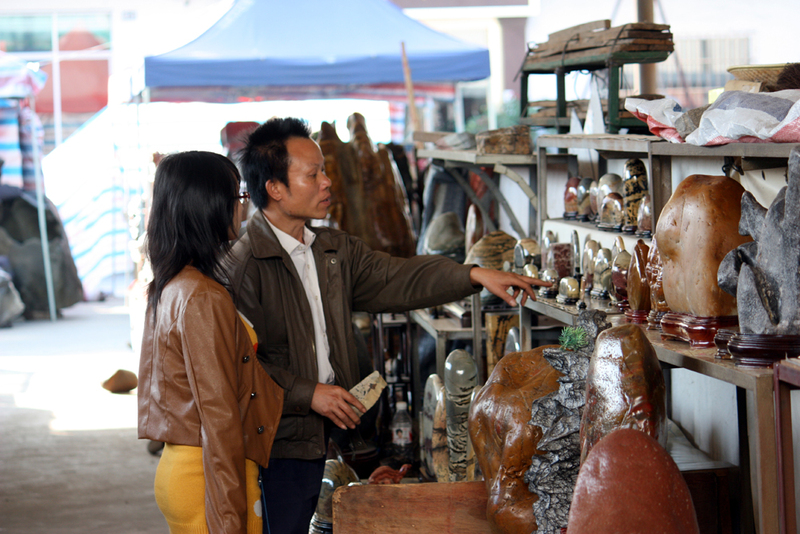 There are several stone markets in town. 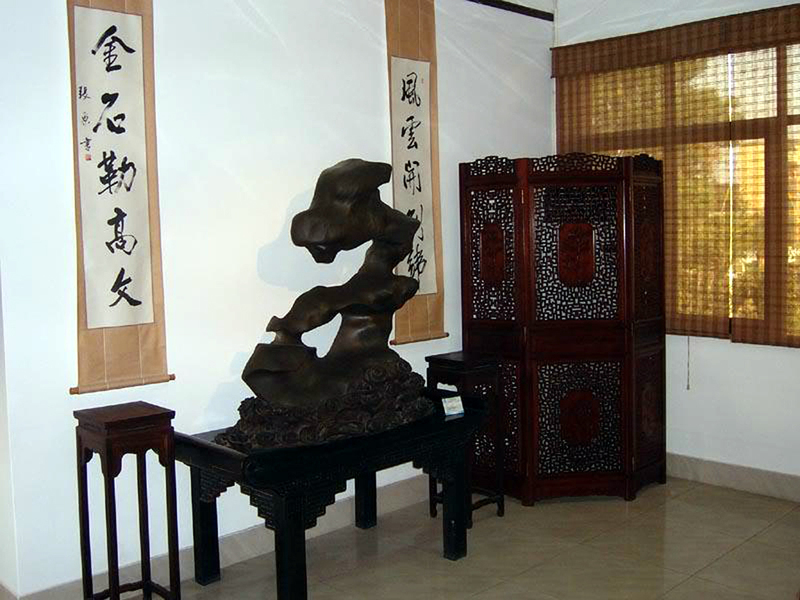 The largest is Liuzhou Fantastic Stone City at 232 Dongguan Avenue (545005 柳州市东环路232号). Prices range from a few yuan to literally millions.